C Grade awarded for 6 marks in GCSE Science exam. Yes – you did read this headline correctly. In an interview with the Times Educational Supplement (TES) Isabel Nisbet, chief executive of Ofqual she said that there had been a “collective falling short of the standards that young people and teachers have a right to expect”. 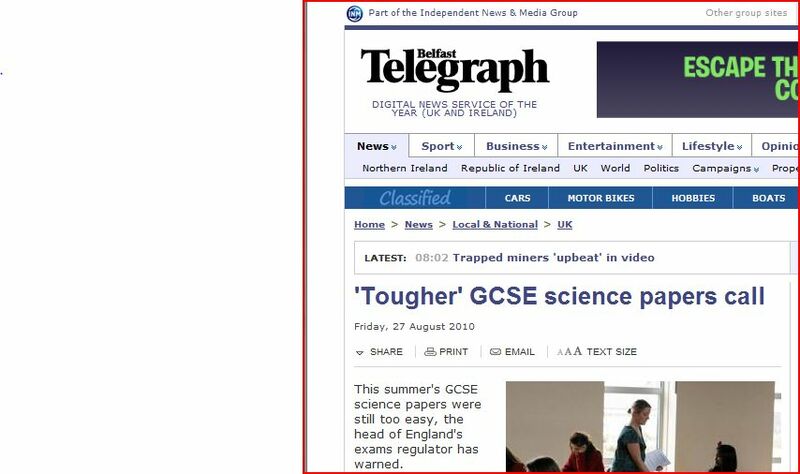 The higher number of entries for the science exams has been matched by a reduction in the standards required to achieve a passing grade. Is this just another example of the educators wiping the eye of parents and employers? 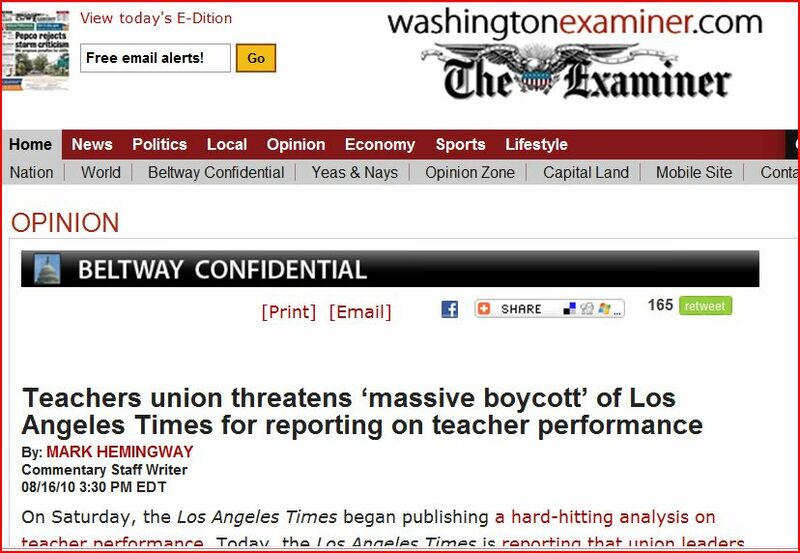 Revisit this site for news of the Los Angeles Times publication of individual teachers effectiveness and the reaction from a profession so frightened by accountability that their unions have started a proactive campaign to undermine the statistical methods employed.